As the world clamors for Clean-Energy technology to halt Global warming, environmental degradation, and the economic devastation caused by costly, unclean energy technology; and to provide unlimited green power to sustainably meet Global Energy needs, White Buffalo Nation Inc. (WBN Inc.) and The Consortium of Global H2O (Water) Manufacturers’ President and Chief Physicist, Professor Dr. James D. Vagarasoto II announces the corporate declassification and availability of Perpetual Hydrogen Electrical Generation Systems™ technology for immediate Global distribution, catapulting humanity into an unlimited clean energy future today. Continuing ‘Mending the Sacred Hoop of Life,’ WBN through a division, TerraLab USA, will be releasing totally green Perpetual Hydrogen Electrical Generation Systems™ technology, quantum-leaping humanity into the future of Zero-E-Energy,™ fulfilling the seemingly impossible dream of limitless clean energy. The Professor, WBN and The Consortium, an alliance of 17 major international corporations with a presence in over 100 countries and 175 indigenous Nations on 6 continents, continue to lead in implementation of the ‘Final Solution to the Global Water Crisis’ through small & large-scale Hydrogen-Powered Water Precipitation Generator systems ®, ensuring Global access to water More Pure Than Dew ® from the troposphere in very large amounts. Dr. Vagarasoto, internationally-recognized as a premiere scientist in Global environmental solutions, as evidenced by his nomination for the Creative Water Prize for the Prince Sultan Bin Abdulaziz International Prize for Water in Saudi Arabia this year, recognizes the urgency of solving the Global Energy Crisis immediately and is honored to share these historic breakthroughs with the world. Due to his expertise and dedication to global mending, Da’rrell Starr, West Coast Regional Director of The Consortium of Global H2O (Water) Manufacturers and President of A Veterans Visions, Inc., which provides futures for disabled military veterans, will mediate inquiries by and sales to the U.S. government. All Tribal, private corporate and foreign government inquiries, please contact Dr. Vagarasoto, TerraLab USA. WBN Inc. will continue Globally donating Technologically-Advanced Totally-Solar Air to Water Technologies® including all new Air Wells, Dew Ponds and Fog Fences to all Native Nations and Tribes upon request. Funds generated by the sale of intellectual property associated with this technology, in the continuing effort to Mend The Sacred Hoop of Life, will help fund the White Buffalo Nation’s $300 million dollar Aqua-cultural and Agricultural Reclamation Dome ® ear-marked for Northeastern Nevada. 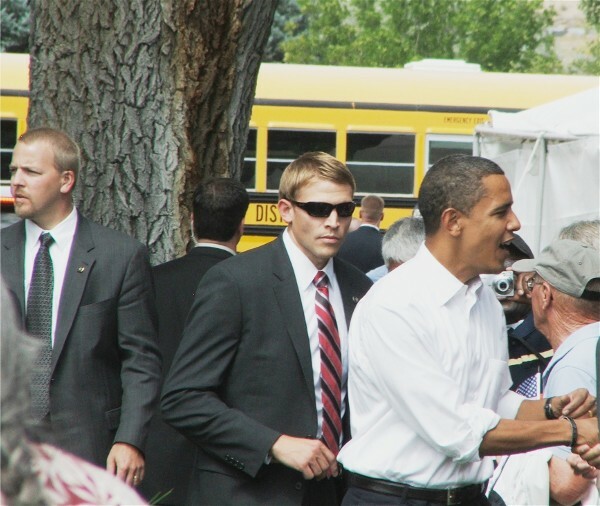 Candidate Barack Obama arrived in Elko, Nevada September 17, 2008 flanked by Secret Service. 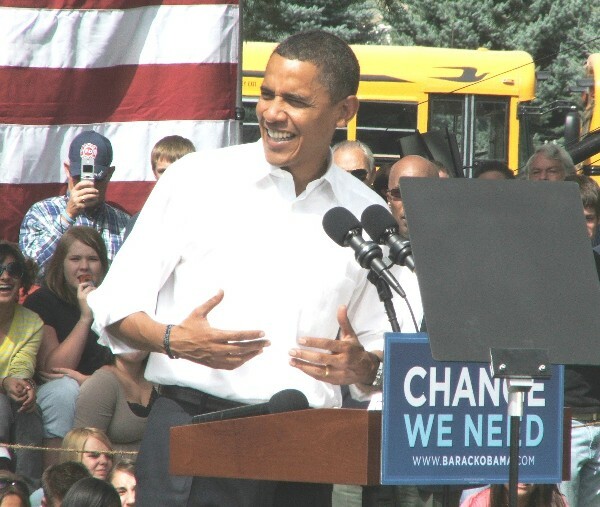 Obama called himself an "honorary Elkonian" and told the crowd, "I don't need to tell you folks in Elko that your paychecks don't go as ar as they used to. It has never been harder to save, retire or buy gas, buy groceries." 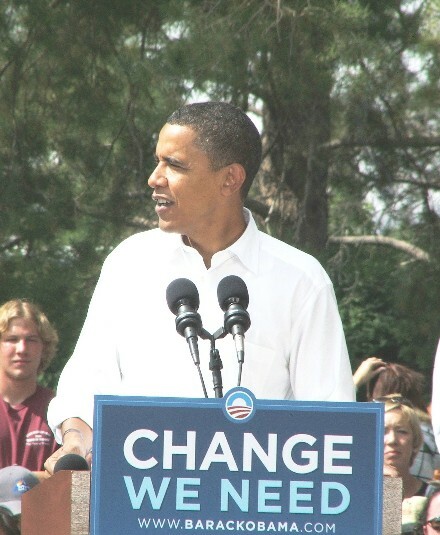 Obama said, "We need a President who will lead us out of this mess." 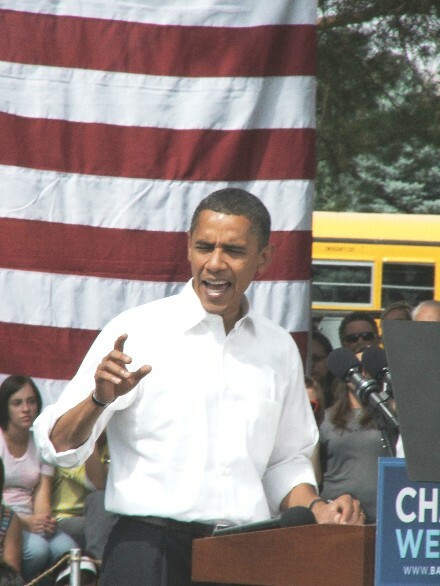 Obama told over 500 people, "I am running for President of the United States because the dreams of the American people must not be endangered anymore" and called to strengthen the "fundamental promise that made this Country great: that America's a place where you can make it if you try; and everyone's got a chance at their dreams. I know I wouldn't be standing here today without that promise we must keep once more." 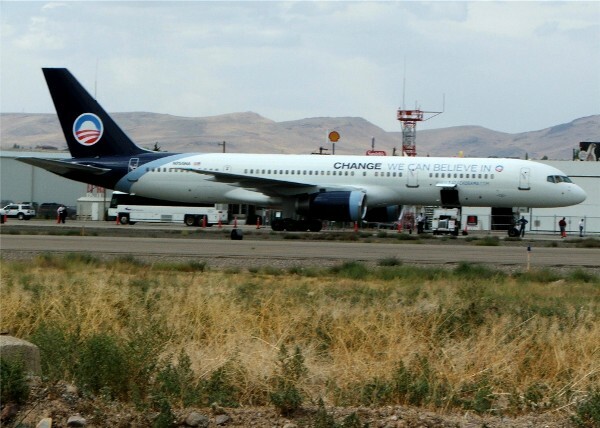 Wednesday, September 17th, the traveling national press flew in with Barack Obama on his Change We Can Believe In jet and bussed over to a rally event at the Elko park where some 1500 people had stood in long lines from 9:30 to 11:30 a.m to be metal-detected and wait in a cordoned-off area under the trees for the Democratic Presidential candidate. Steve Kroft of 60 Minutes and reporters from the New York Times and the Las Vegas Review Journal and the Elko Free Press mingled in the press pool amidst huge network cameras and ‘on-line’ laptops transmitting copy and images instantly.